How many months pregnant are you at 18 weeks? 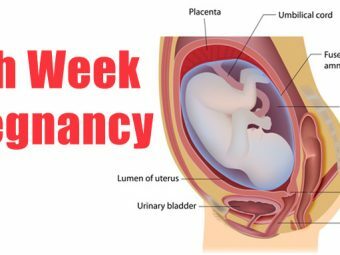 How big is the baby at 18 weeks? 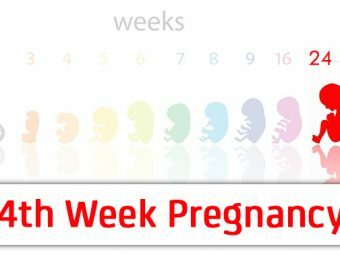 Is there any risk of miscarriage in the 18th week? 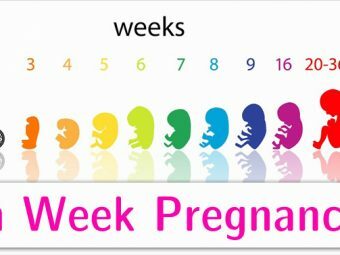 How Many Months Pregnant Are You At 14 Weeks? 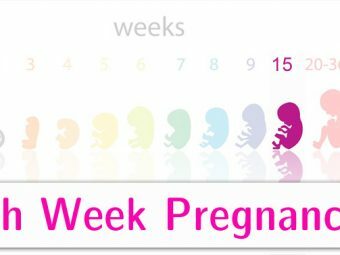 At 14 weeks, you enter the second trimester and are three months and one week pregnant. During this week, your baby starts moving a little, and you will start getting over morning sickness. Momjunction tells you more about your baby’s growth, you’re the changes in your body, and the care you should take in this week. Your baby is about the size of a lemon (1). The baby measures 3.42 inches (8.7cm) and weighs about 1.15oz (43g) (2). Your baby’s growth also picks up a faster pace. Read more about it next. As the baby develops, you’ll start experiencing different symptoms of pregnancy. 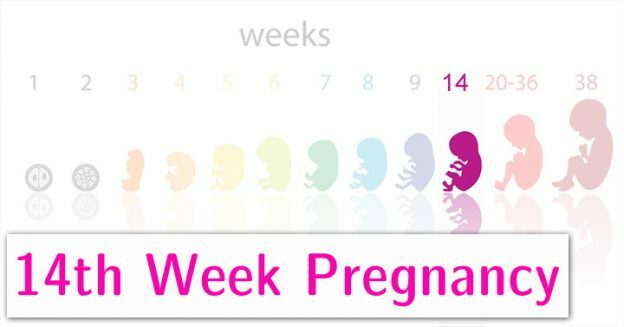 What Symptoms Do You Experience In The 14th week Of Pregnancy? As the pelvic muscles and ligaments are stretching, it causes round ligament pain on one or both sides of the abdomen. Weight gain should be around 2 to 7 pounds during this week (7). Morning sickness subsides, and you are at much relief. Increased appetite as the morning sickness subsides. Varicose veins appear as the extra blood volume puts pressure on the blood vessels causing the veins, especially in the legs, to swell. The increased level of blood flow to the mucous membranes causes them to swell, making breathing difficult and resulting in a stuffy nose. The extra weight of the uterus starts straining the muscles of the lower back. Digestion slows down due to the hormonal fluctuations, causing indigestion and formation of gas. Edema or water retention in the body results in the swelling of hands and feet. The pressure put by the growing uterus on the bladder increases your urge to urinate. External changes also occur at this time, making your pregnancy evident. Second-time moms may notice a visible baby bump in this week. The breast size increases and the areola become darker. The blue veins become prominent around the breast area due to increased blood flow. The linea nigra gets darker. The hormonal changes make your hair look fuller, thicker, and shinier. While your baby is out of danger from the risks of the first trimester, all risks cannot be overruled. If you experience any symptoms that make you feel uncomfortable or are unusual, call the doctor right away. Besides getting timely medical care, you must also take care of yourself at home. Eat smaller meals at regular intervals of time. Follow a healthy diet. Include meat, cereals, dairy products, fresh fruits, and vegetables. Engage in light workouts to keep yourself active and healthy. Pelvic floor exercises help strengthen the muscles. Avoid consumption of caffeine and alcohol as it can affect the baby’s development. Rest properly and try to sleep on your right side. In a case of nausea, drink lemonade or eat watermelon or sniff a lemon. Don’t skip meals or lie down immediately after having meals. Avoid uncooked, spicy, and deep-fried, and fatty foods. Take vitamin supplements (folic acid, vitamin B6) every day. Avoid wearing heels and switch to flats and slippers. Avoid taking medicines without your doctor’s permission. Also, seek your partner’s support. Accompany you to the prenatal visits. Go for a daily walk with you. Plan a day out for shopping and relaxation. Becoming a mother can be a joyous experience. Don’t let doubts and fears ruin this phase for you. Besides being healthy and safe, try to maintain a calm and peaceful state of mind. Do you have any experiences to share? Let us know in the comment section. What Causes Pregnancy Glow And Is It Real ?